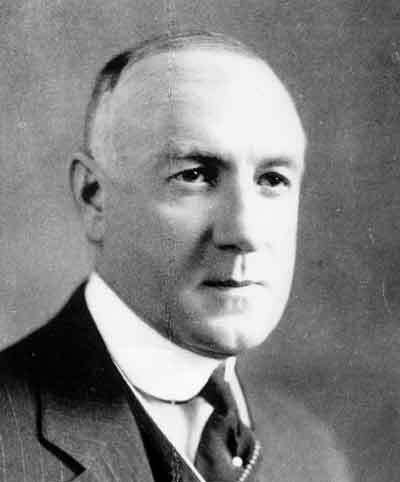 Robert Gillespie Reid and his descendants left an imprint on numerous aspects of Newfoundland business, politics and society. The Reid family originated in Perthshire, Scotland. Robert G. Reid (1842-1908) was born in the village of Coupar Angus where his father owned and operated a linen mill. The Reids of Coupar Angus were of solid stock, artisans who lived by a code of hard work, propriety, church and family. Accordingly, Robert Reid was apprenticed as a young man to his mother's brother, a stonemason in a nearby village. In 1865 Reid left Scotland for the Australian gold-fields, meeting his future wife, Harriet Duff, on the passage. After his father's death he returned to Coupar Angus in 1869, with two sons in tow: William (1867-1924) and Harry (1869-1929). In 1871 the family emigrated once again, to Canada. R.G. Reid was soon at work constructing railway bridges throughout North America. The family, settled first at Galt, Ontario and then in Montreal, was completed with the births of a daughter Lois, and Robert Gillespie Reid Jr. (1875-1947). From 1883 R.G. Reid was based in Montreal, a contractor on the Canadian Pacific Railway. In 1887 Reid was joined on the job by his eldest son, when he contracted to build an 86-mile railway line from Sault Ste-Marie to Algoma. The two elder sons became experienced "outside men," supervising the nuts and bolts of railway construction. While retaining his authority, their father increasingly relied on their experience and judgement in business matters as well. R.G. Reid also commanded the loyalty of a coterie of trusted employees, many of them fellow Perthshire Scots who had emigrated to Canada. By 1890, when R.G. Reid and G.H. Middleton entered into their first construction contract in Newfoundland, William was very much his father's right-hand man. Counterpoint to the bluff and excitable William, Harry cultivated a reserve that masked, but did not hide, a more calculating vision. The popular youngest brother, Robert, became a fixture in Newfoundland sporting circles after joining his brothers in 1895, and a capable operations manager. With their father already a wealthy man, ensconced in Montreal and at times in indifferent health, the three brothers were, by the time the line was completed in 1898, very much the public face of the "Reid empire" in Newfoundland. William Duff Reid (1867-1924), n.d.
William was his father's most important lieutenant in the Reid's Newfoundland operations. From Michael E. Condon, The Fisheries and Resources of Newfoundland (St. John's, NF, 1925) 308. The Railway Contract of '98, negotiated for the most part by William, but nonetheless signed by Harry, who held his father's power-of-attorney, was a reflection of the commitment of the Reid brothers to economic development in Newfoundland. The sons pressed on their father a vision of the potential of the Reid lands, to be served by the railway which had been built, not only by the fruits of their own labours, but by so many valued family retainers. William Reid was clearly the dominant figure during most of the period 1898-1923, when the Reids operated the railway. From 1898-1908, while his father lived, William was responsible for day-to-day management and also directed, at times with a heavy hand, Reid involvement in public affairs. After R.G. Reid died in 1908, William was company president and in 1908-09 was finally successful in orchestrating a change in government favourable to the family's interests. A government formed by Sir Edward P. Morris and his People's party soon awarded the Reid Newfoundland Company contracts to construct five branch railways. But in 1915 the suspension of branch line construction left Reid Newfoundland in a precarious position. The pressures of business, coupled with the devastating loss of his son Bruce in France, diminished William's effectiveness. Harry Reid concluded that, family considerations aside, it was time for his elder brother (now Sir William) to be removed as president of Reid Newfoundland. This was accomplished in dramatic fashion in 1917. William Reid retired to Montreal, while Harry became president of the company and Robert vice-president and general manager. 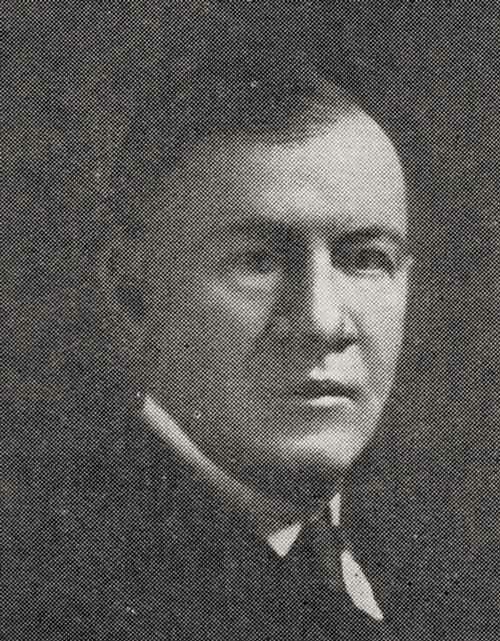 Harry Duff Reid (1869-1929), n.d.
Harry Reid became president of Reid Newfoundland in 1917. For the remaining 12 years of his life, H.D. Reid focused on developing the Reid lands - spinning off such generally-profitable enterprises as the St. John's Light and Power Company into subsidiaries, conducting a natural resources inventory to attract investment, and promoting a pulp and paper mill on the west coast. It was Harry who was ultimately successful in divesting the company of money-losing railway operations and re-defining the Reid interest in Newfoundland. In 1923 H.D. Reid achieved a double coup: the signing of the "Humber Deal," which was to result in the development of Corner Brook, and the Railway Settlement Act, whereby the government took over the railway, coastal boats and drydock. The Reid commitment to Corner Brook during the post-war economic slump resulted in Reid Newfoundland losing 1.2 million acres put up as security. When International Power and Paper Company was brought in by the government to operate the mill in 1926, the Reid interest in Newfoundland Power and Paper was lost. Harry Reid, joined in the management of the Company in 1927 by his son W. Angus Reid (1895-1961), devoted the remainder of his life to attempting to develop another pulp mill based on the "Gander properties." But promoting the "Gander Deal" involved additional borrowing, much of it from William's son-in-law, Alan Butler. With the death of Harry Reid in 1929 R.G. Jr. became president and Angus secretary-treasurer of the Company. In 1931 Butler used his mortgage on Reid Newfoundland Company assets to propel the company into receivership. Descendants of Harry and Robert Jr. remained active in Newfoundland business: Robin Reid as a tourism promoter and resort operator and Angus in insurance circles and (after 1956) as president of a re-organized Reid Newfoundland Company, which still held substantial land holdings and mineral rights. Angus Reid was also the first Newfoundland president of the Canadian Cancer Society, a charitable involvement that has remained a family interest. His son Ian J. Reid (1925-2010) became, from the 1960s, a key player in the development of the fresh-frozen fish processing business.